Enterprise B2B Marketing is serious business. And because it’s serious business, you need to keep your tools sharp. And you can do this by keeping up with the latest trends and techniques via Enterprise B2B marketing blogs. So, I’ve gathered the top 5 Enterprise B2B marketing blogs for you to bookmark. Let’s dive in. Gartner’s marketing blog provides a range marketing experts sharing insights on the changing landscape of marketing. If you’re looking for quick, high-level reads on Enterprise B2B marketing, Gartner’s Marketing blog is the blog for you. What I like about Gartner, and what I find is a common theme across Enterprise B2B marketing blogs, is that they’re posts are big-picture focused. You won’t find how-to style content here. But more strategy based marketing topics. 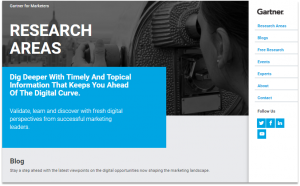 This blog is a good bookmark for advanced Enterprise B2B marketers interested in high-level marketing topics. Now, HubSpot runs a great marketing blog. And they deserve to be near the top of the list. But the reason why I’m placing them at #4 is that they’re not completely focused on Enterprise B2B Marketing. But that’s ok. Because they do feature a ton of content for Enterprise B2B readers. 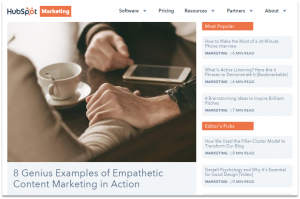 And what’s great about HubSpot is their style of writing for Enterprise B2B readers. It’s conversational and natural. It’s also practical in nature. And because Enterprise B2B marketing blogs are harder to come by, we’re placing HubSpot on the list. A good bookmark for all marketers alike. 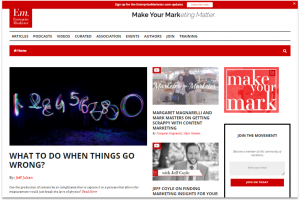 The Enterprise Marketer blog covers topics for the marketing team. Enterprise Marketer is similar Gartner in the sense that posts are more complex, but they’re also more conversational in nature. I’ve just recently subscribed to this blog, and I’m enjoying the fast-paced, strategy-focused content. This blog is a must-read in the category of Enterprise B2B marketing blogs. So give it a read today and make sure to bookmark. A popular blog, short-form content, and high-level writing. 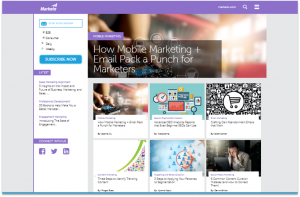 If you’re looking to blaze through a ton of great reads, Marketo’s marketing blog is a great fit. Marketo also uses a ton contributors on their marketing blog. So get ready for a range of perspectives. When it comes to Enterprise B2B marketing, CMI holds the top spot. CMI writes articles from a content marketing perspective obviously, but you’ll find a range of marketing topics from post-to-post. 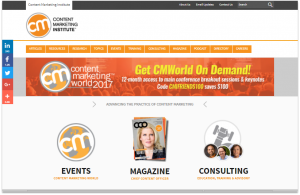 What I love about CMI is that their content is conversational and it’s highly practical. If you’re not already reading CMI, this is go-to for any Enterprise B2B marketers. Finding solid Enterprise B2B marketing blogs is tough. I know, because I’m on the hunt day-in and day-out. But now you have 5 must-reads in your back pocket. Some you’ve probably heard of, but now you know – these are must-reads. So make sure to give each a read and bookmark for the future. Blog Frequency – How Often Should You Blog?